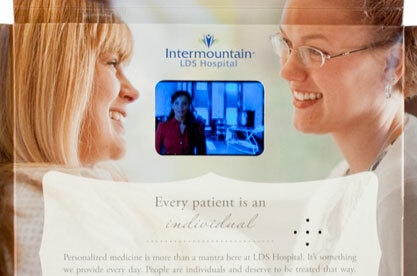 Intermountain LDS Hospital, located in Salt Lake City Utah, is known for its clinical expertise and research. Their mission is to provide quality healthcare focused on the individual at an affordable price. The hospital wanted to share its story with patients and doctors in the community through a unique and engaging direct mailer. 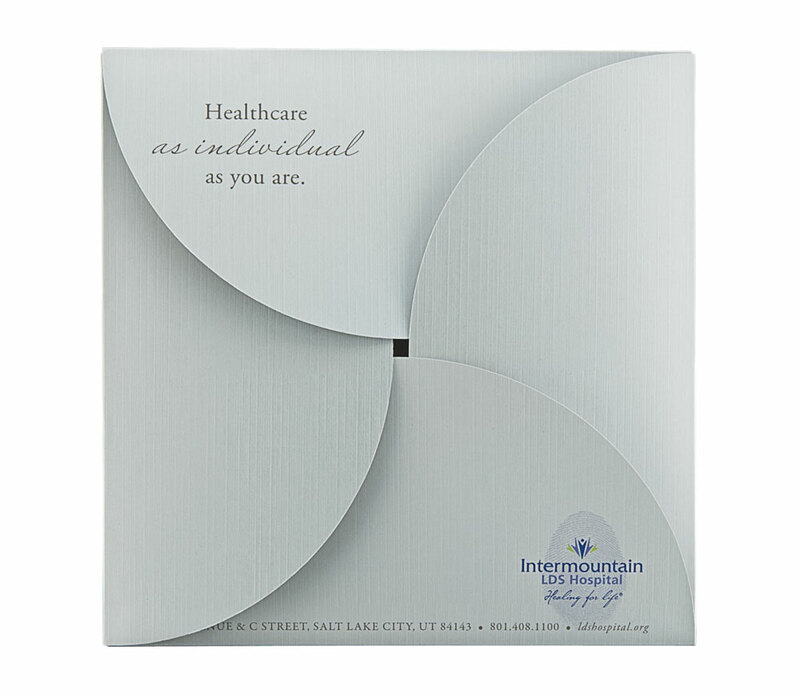 Americhip worked with Intermountain LDS to develop a piece that utilized our proprietary quadrant “petal” design, highlighting four core tenants of the hospital. To really grab attention, a video detailing the history of the hospital began to play as soon as the first petal was opened. Four additional videos focused on the hospital's charity work, health services and research. Video in Print technology was the perfect tool to help the hospital convey its core features to doctors and patients and increase its profile within the community. The recipients were thrilled with the mailer which was evidenced by the significantly higher response rate. Let Americhip help you stand out and communicate more effectively with your direct mail and corporate communications.